For researchers, the journal article is at the heart of the scientific enterprise; they share their findings through articles, which can help them find collaborators and raise their profile so they can build on their work. Researchers solve pressing problems, in large part, via the medium of the scientific article. But publishing an article in a scientific journal is a daunting task. The journey from outlining an experiment, to obtaining a result, to writing and submitting an article can take years. And at the end of this process, there’s no guarantee that a researcher’s article will cross the final hurdle —finding publication in a reputable scientific journal. This journey can be especially challenging for researchers in Africa, whose contributions to the scientific conversation have often been overlooked and whose development has been hampered by a scientific publishing ecosystem that hasn’t always addressed their needs. 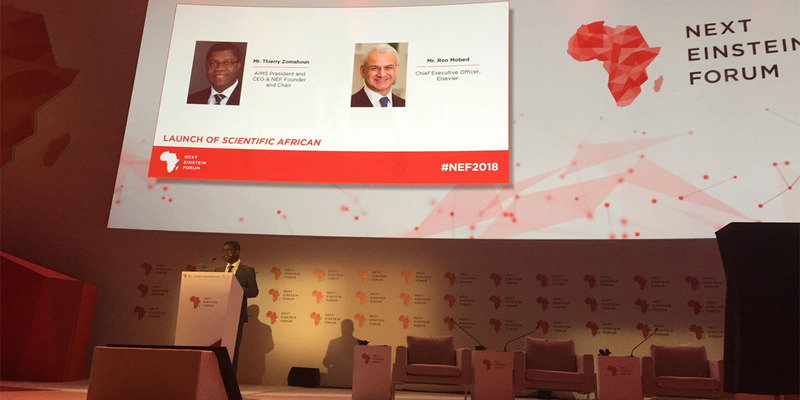 Together, the Next Einstein Forum (NEF) and Elsevier are bringing state-of-the-art technology and processes to bear on this challenge, creating a modern open access megajournal to accelerate capacity-building efforts across Africa. Without the ability to easily share their latest research findings and to access the research their colleagues have produced, young African researchers have had difficulty participating in the virtuous circle of scientific publishing — the back and forth of publishing, reviewing and revision that enables scientific progress. Scientific African — a pan-African, flagship scientific journal for African researchers — will address these issues, providing its authors a highly-visible platform that welcomes submissions from all scientific disciplines. Publishing all of its articles open access, the journal will be free to read, making the research it publishes easily discoverable and powering collaboration between researchers, institutions and countries.